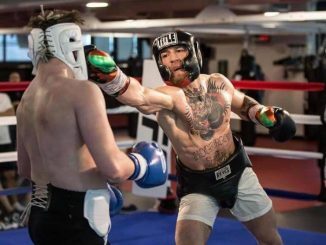 Conor McGregor is bearing down on the social media presence of Boxing All Star Floyd Mayweather Jr. The 26th of August will see the biggest fight in combat history, Mayweather vs McGregor in a boxing match taking place at the T-Mobile Arena in Las Vegas, Nevada, USA. 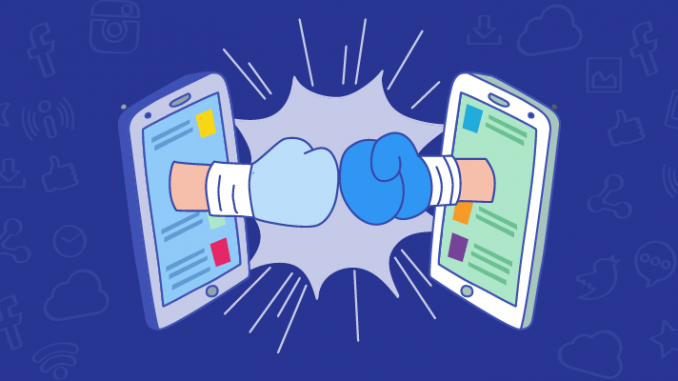 Social Media has played a huge role in the build up of this fight for the past two years. 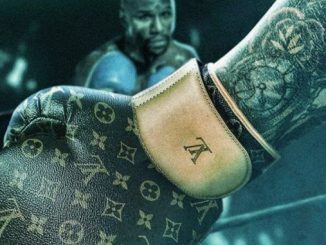 Social media is one huge factor in the reason this fight is reaching the epic scale it is, making it the Worlds first “Billion Dollar Fight“, Boxing vs MMA. At the point in this point the game the social media war is far from over, in fact, it’s only just starting to heat up. 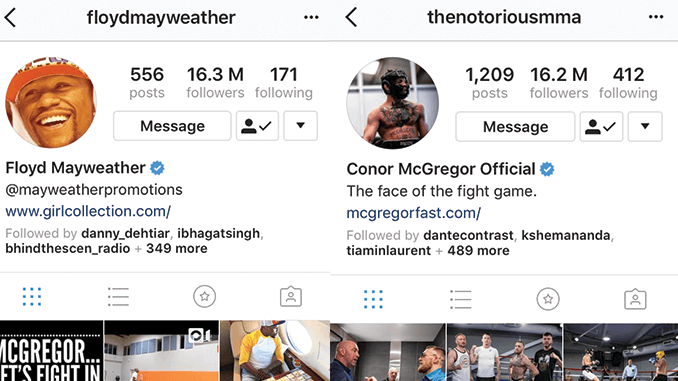 Conor McGregor is hunting down the follow cont of all Floyd Mayweather Jr accounts and at the point in posting this article McGregor is just 100k Followers from toppling Floyd Mayweathers 16.3 MILLION followers on Instagram. 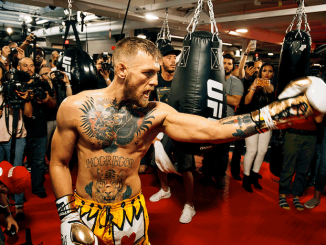 McGregor has been known to use social media as a tool in his fight build ups. During the MayMac world tour it was clear McGregor was the fan favourite, after the war of words the social media battle and all is said and done, who do you have for the super fight on 26th August?